After many modifications to my original idea, Friebel the crochet mouse is finished! This pattern is the perfect celebration of all the little mice that came and visited my garden the past few months. It may be, that because of all those lively creatures, I became very critical about how my crochet mouse should look. 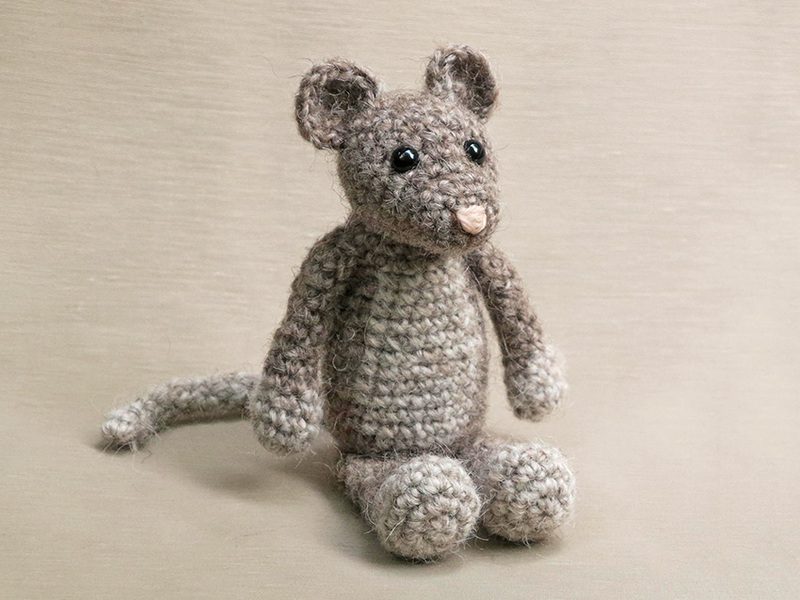 When I started this pattern, I had a standing crochet mouse in mind. But when all the parts were finished and I had made a first prototype, the mouse looked like Bamse on a diet. Oh dear, that wasn’t at all good. So, I frogged everything except for the rather sweet head and started all over. While working on a more classic doll shaped body, I realised it suited a crochet mouse much better as mice are such adaptable and playful animals. For the standing version I had made little pink hands and feet and when I gave the mouse doll such hands and feet, that didn’t work out either. Yet another modification had to be made. Even the tail became different that I had anticipated. Of course there were moments during this process that I got annoyed I had to start over again, but that is a part of the designing process. Every crochet animal doll needs to have the proportions matching that specific animal and I cannot be satisfied until I adore what I see. There has to be a certain perfection in the cuteness. And in the end it is so rewarding to cherish the new creation. 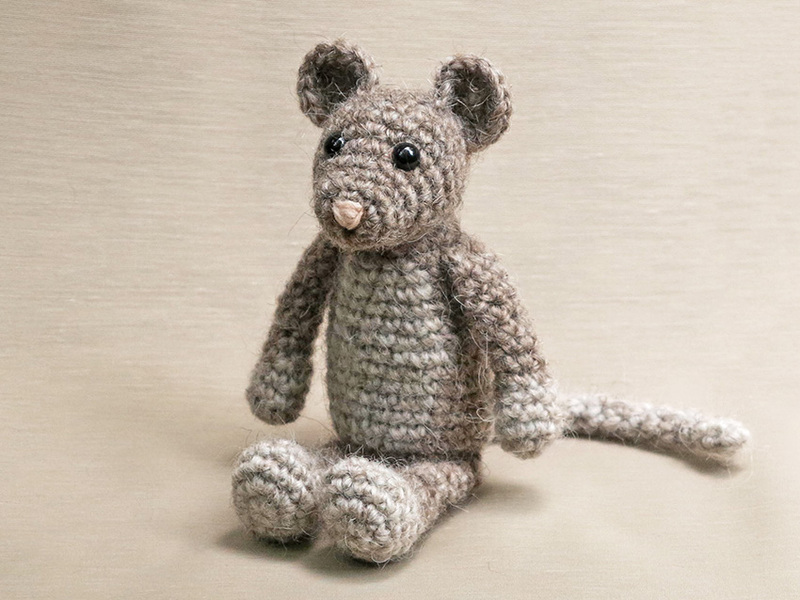 This cute mouse is made with Istex Lett Lopi, a worsted weight wool. He is 13 cm / 5.1 inch when sitting. All the additional information you need to know about this pattern you can find in the shop listings. You can buy this pattern in my main shop and in my shop at Ravelry or order it here. 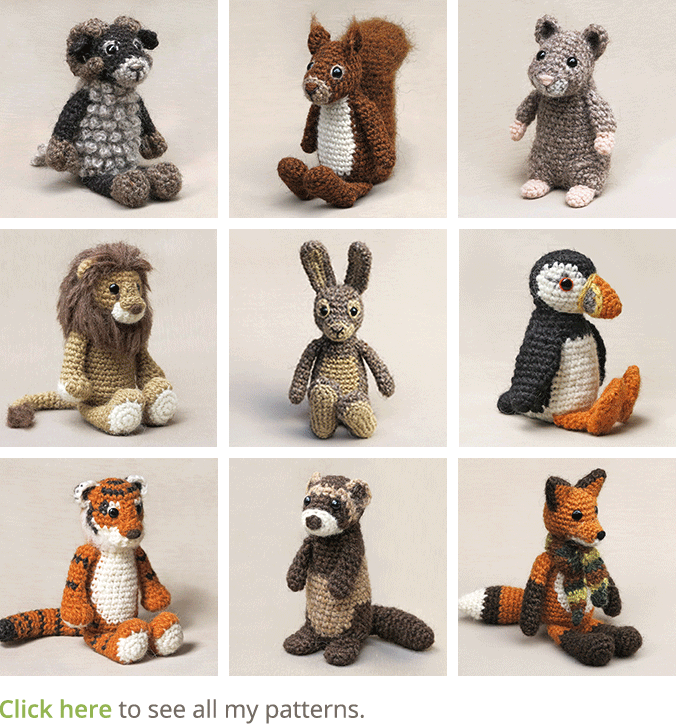 It contains a clear and colour coded description of how to crochet and assemble the mouse with example pictures at the bottom to help you get everything right. In the pattern you can also find what materials you need, the yarn colour numbers, in short, everything you need to know to make your own little friend. 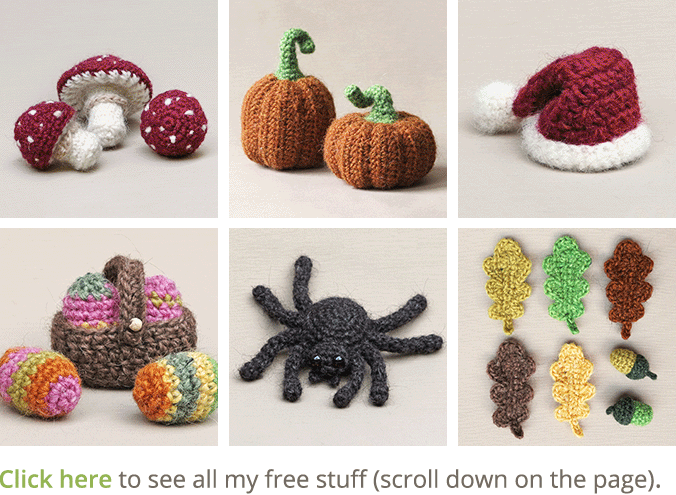 And heads up, the pattern has a one dollar release discount till Friday the 15th. I am glad to hear you like him Jan! Happy crocheting, hopefully outside in the sun. 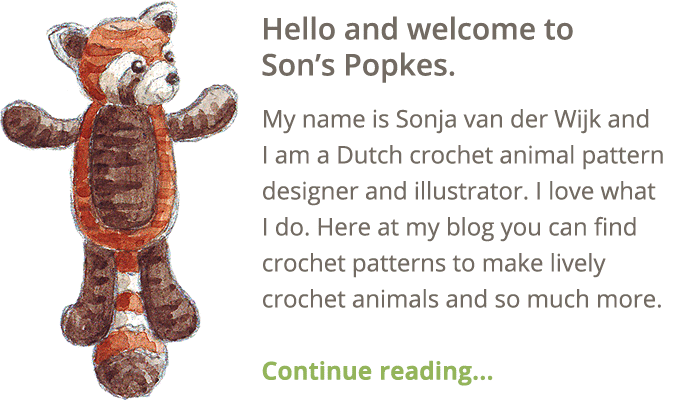 My next patterns will be completely different and non furry animals….. Guess what – just bought the pattern too 🐀. He’s gorgeous Sonja, another design to be proud of. Jan will beat me to it this time as I’m away from home at the moment… in Amsterdam! My son will love it, because his favorite book is “If You Give a Mouse a Cookie “. Thanks for sharing. If I make one could I post pictures on my blog? I will definitely give you credit and link to your ravelry listing. Yes of course, I like that!